Welcome back! Part I covered when to train, now it’s time to learn what to eat and drink (think water, water, and more water!). 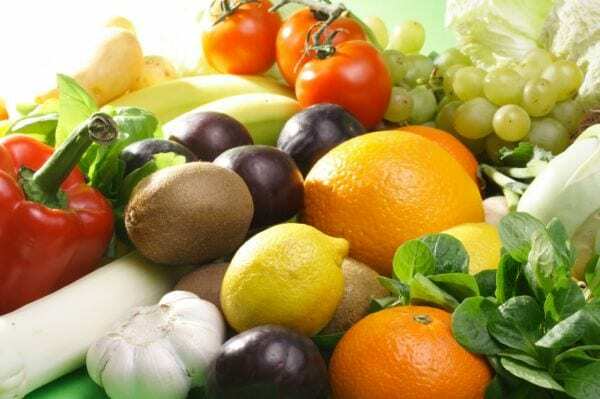 Fibrous vegetables –This will help increase the feeling of fullness as well. It is important to take a solid Multi-Vitamin/ multi-mineral supplement with Suhur as well, to make sure that the daily minimum requirements of key nutrients are met. Taking extra vitamin C and vitamin E can also be helpful. It is very important to watch your sodium intake at this time as high sodium can cause greater dehydration plus increase thirst during the day—not good for fasters. Avoid high sodium foods like soups, sauces, condiments, gravies, high sodium bread products, and canned meats. Of course eating fried foods and heavy oil items can cause heartburn and problems for you all day so it is best to avoid those if possible! This is a key time for rehydration. The wisdom in Islam is never ending. We break our fast with dates and water but if you investigate this nutritionally, you will see that dates are very unique in their nutrient content. They contain very high levels of potassium (much more than a banana), a key re-hydration mineral and a special carbohydrate blend that enhances hydration above and beyond water alone. They contain a special blend of glucose and fructose for short and long term energy. They also have a special nutrient called beta D-glucan which is a soluble fiber that can enhance satiety and digestive health. Eating small meals at night can trick your body into speeding up metabolic rate (not to mention increase nutrient absorption and stabilize insulin and blood sugar levels). Your body loves homeostasis and wants to maintain a certain balance—you literally have to shock it constantly to lose fat and gain muscle over the long run! There is so much wisdom in “Eat and drink but not to excess” and we should try and follow that especially during Ramadan.